Facebook marketing is permeating websites, blogs and other social networking properties. 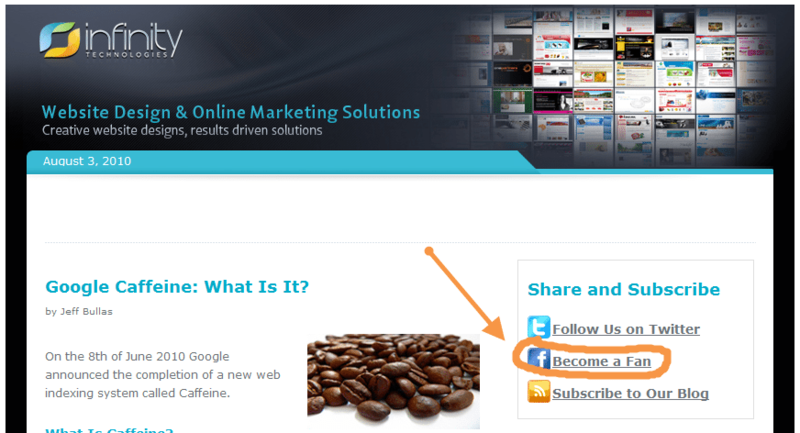 You only have to go to Slideshare, YouTube and notice that the ability to share with your Facebook friends is built in, either next to the content or in the settings. These Facebook marketing tips and tactics will help you build your Facebook Fan page by acquiring more likes, engaging with your audience and provide ideas to keep them coming back for more. Facebook questions provides you a built in function on Facebook that can provide another means to interact and engage your readers. 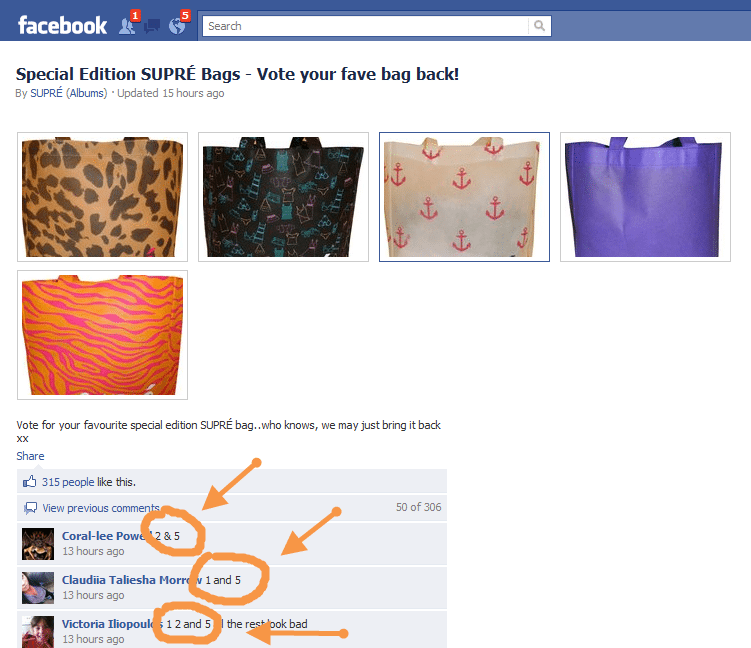 The side benefit is that this will improve your Facebook ‘Edge ranking‘. Facebook is a great place for B2C brands to test whether a product is worth producing by asking people to vote on whether they like this product or that product and your open live real time forum will provide you with free market reserach. Upload a Video to Facebook (not from YouTube) that allows people to ‘like’ your facebook page even within a video pop-up. 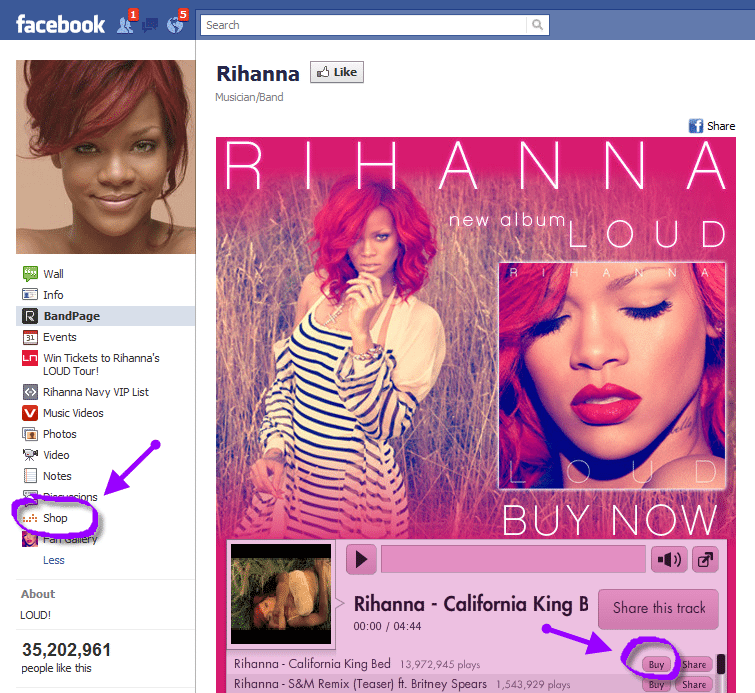 Allow people the option to view your tweets on Twitter without forcing your fans to leave the Facebook ecosystem. This may not seem like a marketing tactic but it achieves 2 things 1. It improves your Facebook edge ranking and 2. Takes a viewer from ‘just a fan’ into a ‘raving fan’ as you respond to them personally. This will not scale if you have 1 million fans but for B2B businesses with a few hundred or a few thousand fans then it is worth the effort. 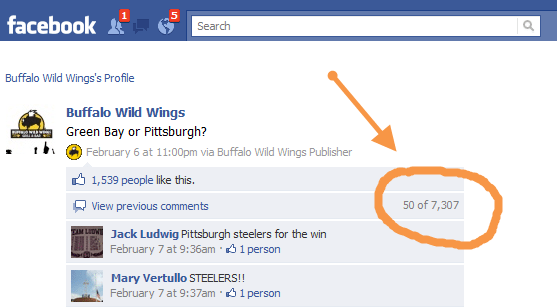 Every one loves a contest and they work especially well on Facebook. Guy Kawasaki offered 5 cameras and an Apple iPad for his launch of his book Enchantment. 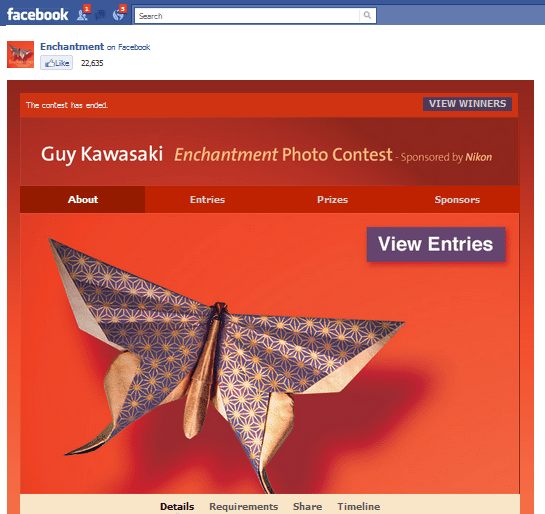 He had a Facebook contest designed and developed utilizing a Facebook app by Strutta. Companies that market to other companies need to place their content onto Facebook because a lot of their audience is on Facebook, so you need to fish where the fish are. Integrated marketing provides the promise of your brand being ubiquitous and making sure that you don’t miss an opportunity to make it easy and as low friction as possible for people to ‘like’ your Facebook page at all you customer touch points. One of those is whenever you send out a newsletter or email. It is one thing to ‘engage’ with your customer the ultimate goal is for them to ‘buy’ your product or service, so put your online shop on Facebook . “If I had a guess, social commerce is the next area to really blow up.” Mark Zuckerberg, 2010. 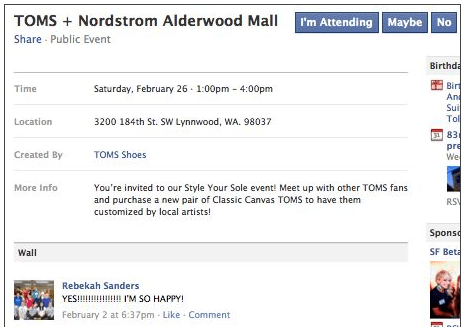 TOMS Shoes run public events and then use Facebook to facilitate a deeper connection with fans by encouraging them to tag photos of themselves from the event. This will assist in ensuring that your updates appear in the news feeds of more of your fans by optimising your ‘Facebook EdgeRanking’. What Facebook marketing strategies and tactics have you found successful? Look forward to hearing your stories.